Closed Sunday's on long weekends! 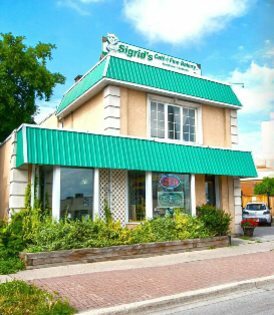 Located in Barrie, Ontario, Canada – Sigrid’s Bakery is owned and operated by the fourth generation of professionally trained, European bakers. Come in and select from a wide variety of cakes and torts, pastries, cookies, breads, and buns which are baked daily on our premises from scratch. We are absolutely 100% peanut free. We also offer a great variety of organic chocolates, boxes of truffles, facial creams and foot and bath products specially imported from Europe!